I don’t know why he is so crazy about this PSP, as he already owns a Sony Playstation 2. He thought of buying a white Sony PSP, but I kept telling him that black looks nicer. And finally he bought the black one :P. The game console itself cost him around RM700++. He bought another 4GB memory and peripherals, all together cost him around RM900++. 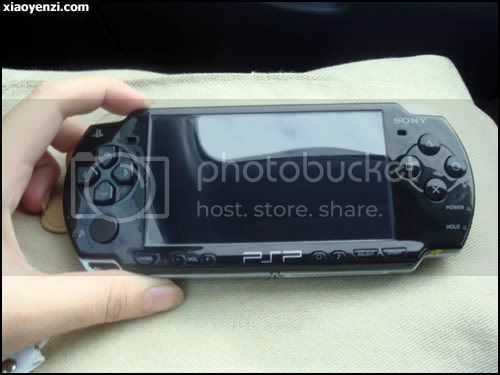 So, this is how a Sony PSP really look like. Nice screen display. You can watch movie, listen to music, online via wireless connection and of course, most importantly, play games! 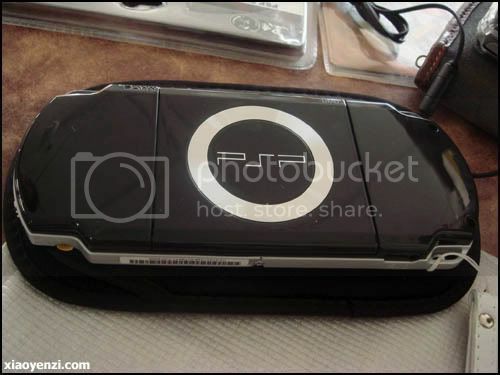 Back view of Sony PSP. What do you think? Want to have one too? arm.. online via wireless? how to type words? touch screen one ha? 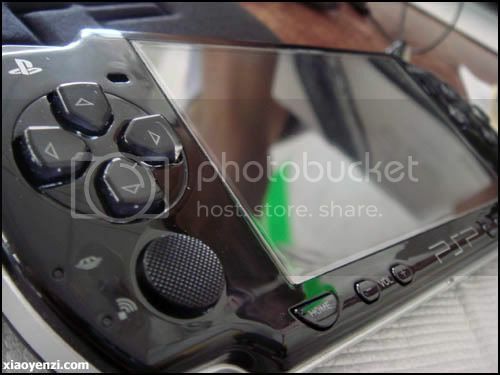 i never touched a PSP before..
me also crazy of this psp ! dreaming long time oledi ! but no moni to buy ! too expensive lah ! 🙁 u friend psp really sui lah ! Yah, His is ultra slim one that’s why it’s really costly. I cried buckets when I accidentaly drop mine on the floor and it broke into halves! But no money to buy la.. Wanted to get one as well when it first came out 😛 how can you not like something so sleek. hehe. Settled for a ps2 in the end. yup, online via wireless network. To type words, there is a soft keyboard on screen. hello suspicious man. Yup, his is ultra slim one. Oh dear! Broke into half!! haha, the game console itself is RM700++, I think you can get it for much cheaper price in West Malaysia. Not touchscreen de, on screen keyboard and select the character using the arrow key and enter. West Malaysia, ya ever think to get one there, but just cant wait so…haiz..